Above map from WikiWand, “Dakota (people)”: www.wikiwand.com/de/Dakota_(Volk) Retrieved 8-4-2017. Thank you U.S. Embassies for the above map! 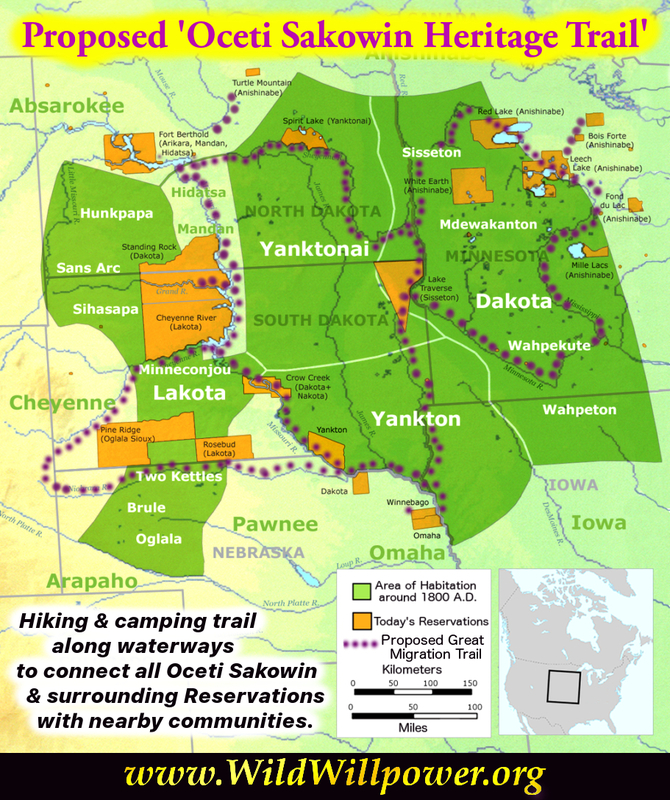 We propose creating a fourth trail, tentatively called “The Oceti Sakowin Heritage Trail” to connect Lakota, Dakota, Nakota, & surrounding Reservations and communities via a recreational hiking & camping trail so hikers can walk, forage, learn, and connect with nature. $646 billion in outdoor recreation spending each year. $39.9 billion in federal tax revenue. Educational & historical markers will teach hikers about the plants, animals, & other biological organisms they’ll encounter along the way. Other markers will teach about the history & cultures of local tribes, thus raising appreciation for, awareness of, & recognition for their heritage. This project could be a model for similar projects around the world – a way to restore ecosystems and bring people together, thereby creating a “clean economy”. for the above commemorative of Sitting Bull. Native animals will be reintroduced once the trail has been planted & secured. 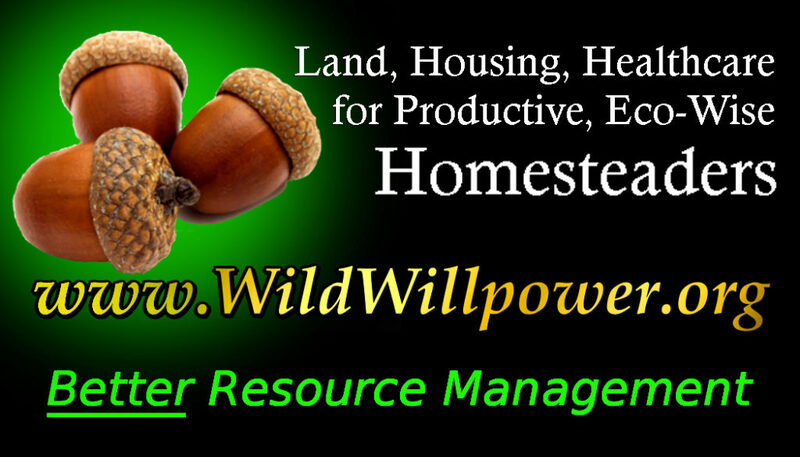 People will be able to forage, learn survival skills — fire making, water purification, foraging, etc. — thus finding a renewed vigor for life by reconnecting with nature. The proposed trail moves primarily along waterways, & may need to be adjusted for logistics purposes as they’re uncovered. The Wild Living Skills Database & Smartphone App will provide an excellent platform to learn from Native teachers so that hikers can learn about wilderness safety, conservation, & survival skills. Positive-Impact Harvesting Techniques & fire safety educational materials will ensure ecosystems remain healthy instead becoming overrun, thus ensuring communities will remain safe. 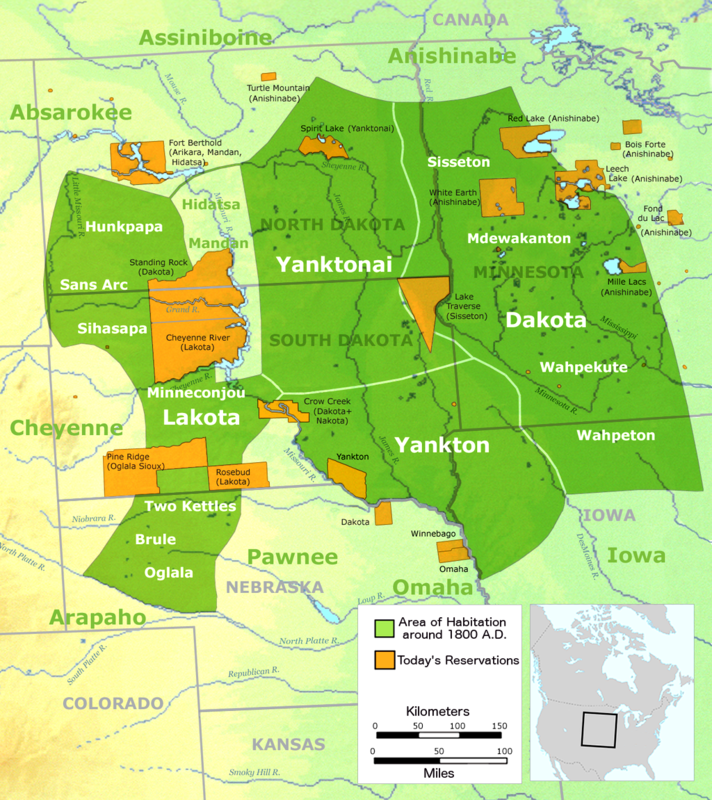 Notice: The Petition to enact Civilian Restoration Corps & thus to pay people to develop & re-plant the Oceti Sakowin Heritage Trail will be available May 1, 2018 both here and on our Petition Drive. Please contact us if you have any suggestions or join our campaign team. Stretches from southern California down by Mexico, up through The Mojave Desert, then through the Sierra Nevada Mountain range to Canada. One of the largest conservation efforts in the history of the United States – visit U.S. Forest Service website to learn more. In 1921, Benton MacKaye went public with his proposal for an Appalachian Trail. With publicity from a New York newspaper columnist, he then spent years working his network of trail & government contacts from Washington to Boston. By 1925, MacKaye generated enough support for a hiking trail rather than his original utopian visions— read more on the Appalachian Trail website.